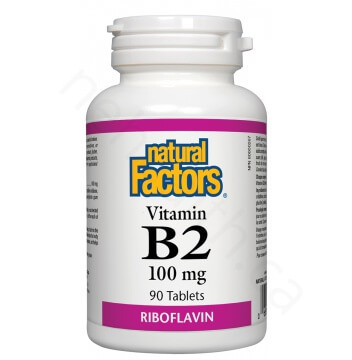 Riboflavin (vitamin B2) is one of the B vitamins that is involved in the production of energy and metabolism of proteins, fats and carbohydrates. 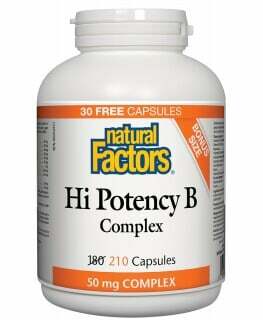 It is necessary for normal cell function and maintenance of a healthy nervous system, vision, skin and hair. 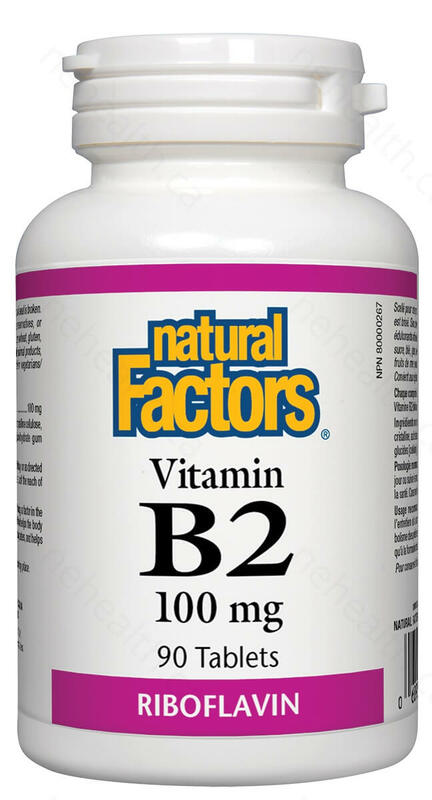 Riboflavin, also known as Vitamin B2, plays a role in two very important enzymes flavin adenine dinucleotide (FAD) and flavin mononucleotide (FMN). These two enzymes are involved in the production of energy within our body. 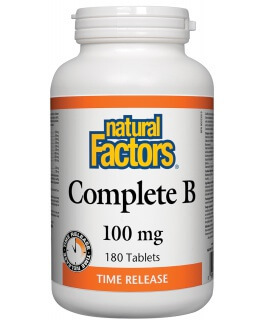 Riboflavin is necessary for normal cell function and helps to maintain a healthy nervous system, vision, skin and hair. A deficiency of riboflavin is characterized by cracking on the lips and corner of the mouth; an inflamed tongue; visual disturbances such as sensitivity to light and loss of visual acuity; cataract formation; burning and itching of the eyes, lips, mouth and tongue; and other signs of disorders of mucous membranes. Supplementation of riboflavin is also needed to prevent migraine headache and sickle cell anemia. Non-medicinal ingredients: Microcrystalline cellulose , silicon dioxide, stearic acid, clear coating. 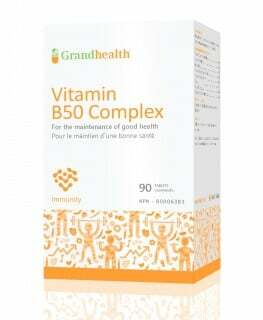 Vitamins B2 and B6 as determinants of kynurenines and related markers of interferon-γ-mediated immune activation in the community-based Hordaland Health Study.